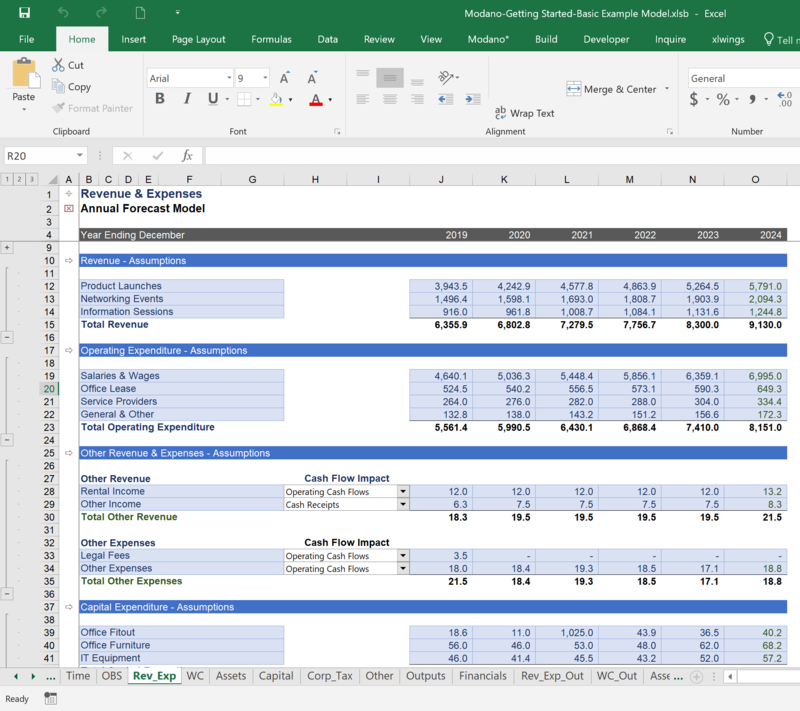 While Microsoft Excel is used across all industries and for anything you can (and cannot) imagine, the financial modeling industry is definitely one of the industries with the highest dependency on Excel. Accordingly, they have come up with a lot of guidelines and tools to structure, format, audit and error-proof these financial models. After all, an error in a financial model can lead to a wrong outcome in a critical decision, like for example a loan approval. 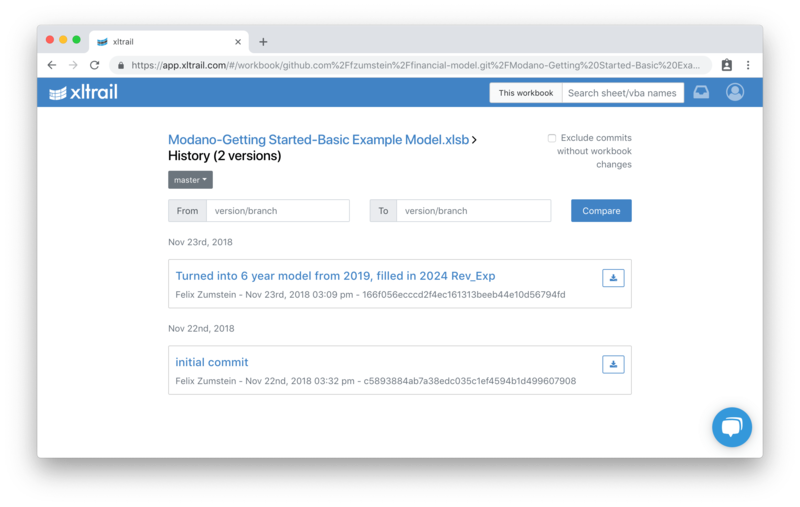 In this blog post, we’re going to look at how some of our users are combining Modano, an Excel add-in for financial modeling, with xltrail, our solution for versioning and comparing Excel files, to create rock solid spreadsheet models. 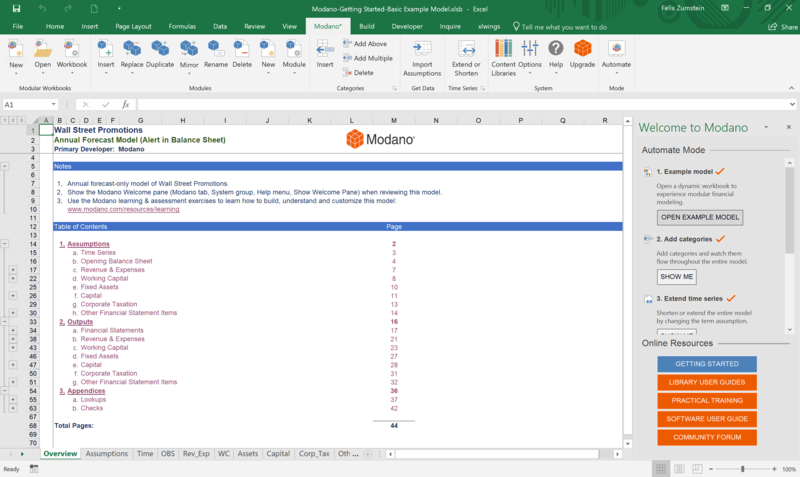 Modano is an Excel add-in that helps you to easily follow best practices when working with Excel models. It handles tedious tasks like cell locking, allows you to painlessly introduce new sections in a consistent manner across all sheets (no risk to forget to adjust any formulas) and makes it a breeze to change the time horizon of your model. On top of that, it has auditing capabilities to identify things like unique formulas or cell errors. The free community edition can be downloaded here. But how can we see what exactly Modano has changed behind the scenes? This is where xltrail comes into play. 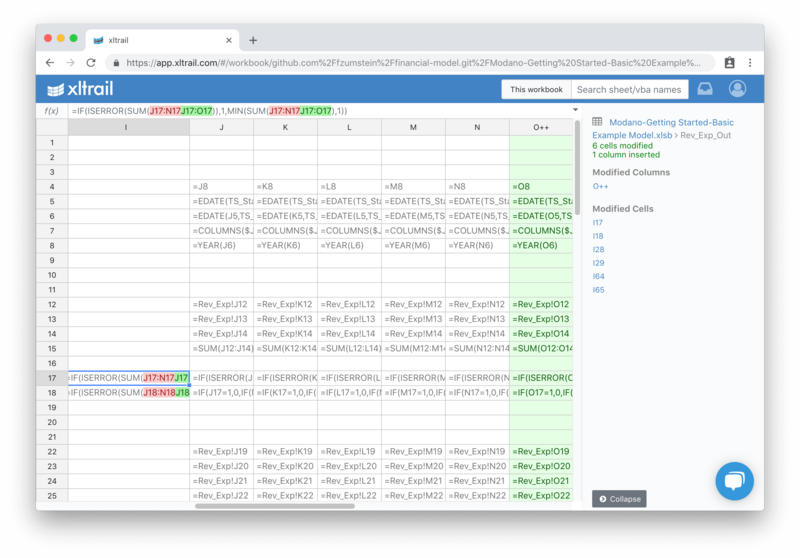 xltrail is a web based version control system for Excel workbooks (similar to GitHub, but for Excel workbooks). It creates an audit trail of your document changes and allows you to answer questions like: Who changed this value, when and why? 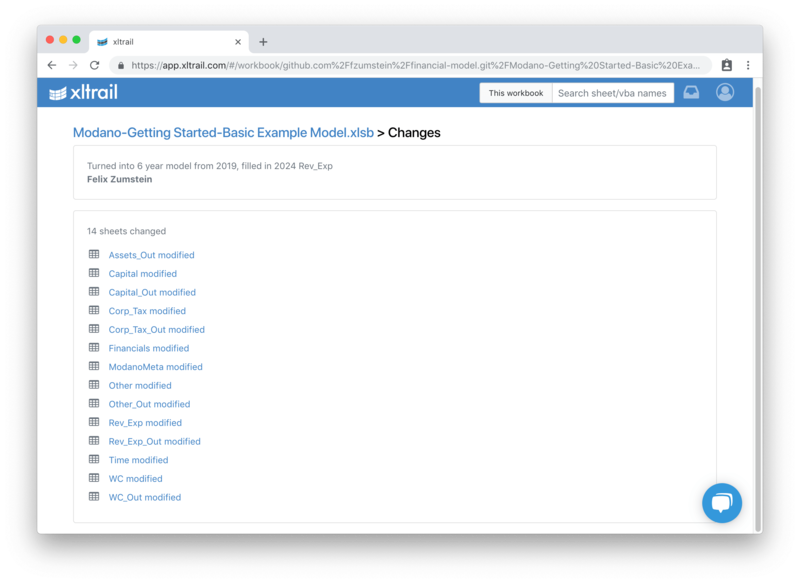 Because of the criticality of financial models, there is often a formal review process where an independent team would review the model, change or correct a few things and then send it back to the model author, usually by email. Now the author will spend some time to find and verify the changes, before adding new features and starting a new round of this back and forth review process. xltrail allows you to send around a simple URL instead of the full document. It will also allow that both, the author and the reviewer, see what the other party changed. Modano and xltrail play nicely together when developing financial models: Modano helps you to prevent and find spreadsheet errors through automation and auditing tools, while xltrail makes it easy to see what was changed, by whom and why, therefore keeping an audit trail and simplifying the model review process dramatically.